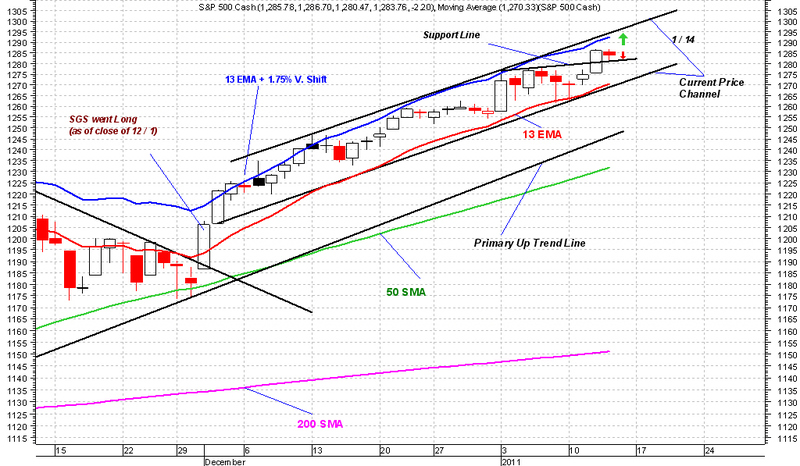 SPX successfully tested its most immediate support line today. I believe that decline was due to profit taking. Tomorrow is a critical day and SPX needs to close above today's low. 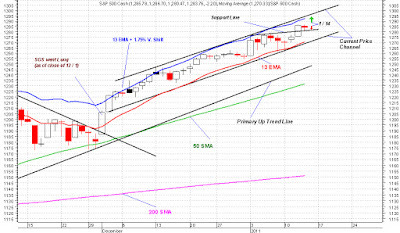 A close below today's low by SPX and other major indices signals more selling to come next week. Situation in Egypt is the Wild Card for Tomorrow. Sell Off Today - A Classical Profit Taking?